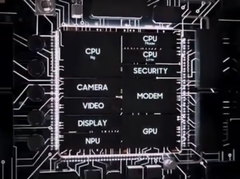 Some of the new features integrated in the 8 nm Exynos 9820 SoC include a better NPU for AI tasks, desktop-like performance via new octa-core tri-cluster and the Mali-G76 MP12 GPU, LTE Cat 20 modem, 8K video recording, HDR / 4K screen resolution plus support for up to 5 image sensors, and a new PUF security system. Samsung’s Galaxy S10 smartphones will most likely be announced at MWC next month, and we know the flagship will be powered by the proprietary Exynos SoCs as well as Qualcomm’s Snapdragon chips. While the Snapdragon 855 SoC was already officially launched in late 2018 with all the bells and whistles, the new Exynos 9820 was only subject to rumors, so Samsung decided to officially unveil all the major features that recommend its chip over the Qualcomm one ahead of the MWC event. According to Samsung’s official feature highlight press release, the 8 nm Exynos 9820 will offer a next-level mobile experience rivaling the performance of desktop PCs via features like advanced on-device AI, multi-gigabit internet connections and various multimedia / general purpose technologies. The Exynos 9820 comes with a new Neural Processing Unit that allows it to perform AI-related tasks such as personal assistant services, augmented reality and enhanced camera function up to seven times faster than the previous generation. 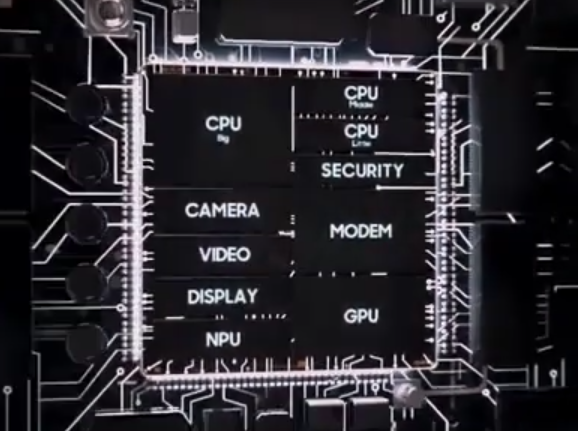 As far as the CPU clusters are concerned, the Exynos 9820 integrates two custom cores that handle the heavy computational tasks, two more ARM Cortex-A75 cores for optimal performance and an additional four Cortex-A55 cores for general purpose tasks. The 4th gen custom cores deliver up to 20% more performance compared to the previous generation. Unfortunately, the new SoC itself does not integrate a 5G modem, but it does get an LTE Cat 20 modem for downlink speeds of up to 2.0 Gbps. Samsung has a separate 5G modem, the Exynos 5100, which can be paired with the Exynos 9820 SoC for unparalleled 5G connection speeds. Thanks to the new Mali-G76 MP12 GPU, the Exynos 9820 can now deliver up to 40% improved performance in 3D games and applications, with 35% enhancement in power efficiency. Additionally, the new image signal processor can now support up to five image sensors, plus it can record 8K videos and compress the captured material into smaller files via an improved 10-bit HEVC codec and it also able to handle HDR content displayed on screens with resolutions as high as 4K. There also is a physical unclonable function for increased device security. No official performance figures compared to the other SoCs for now, but Samsung should present some benchmarks at MWC next month.